Burgundy is the Khloe Kardashian of color palettes. Everybody reaches out for black, white, neutrals, pinks, (Kim, Kendall, Kylie, Kourtney), respectively and maybe they will take a second look at burgundy (Khloe). But if styled right, burgundy can help set you apart from the pack. 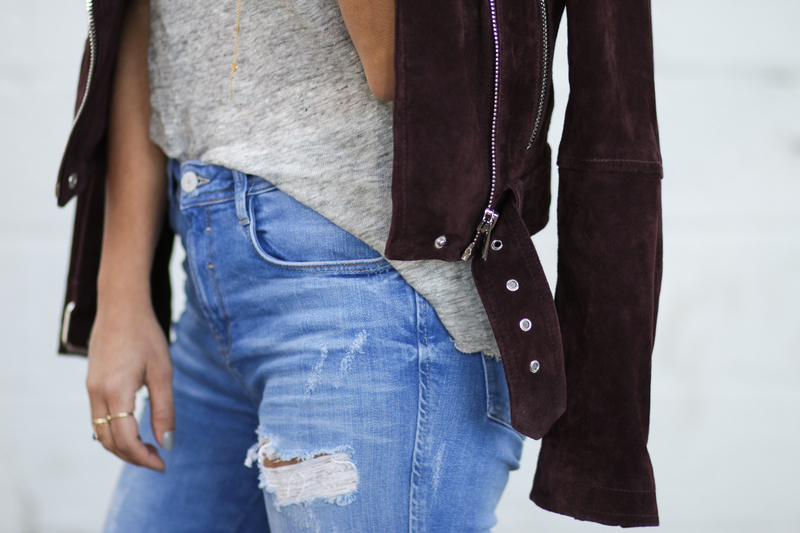 I’m loving this suede burgundy moto jacket paired with frayed denim (which continue to be a big trend). Much like Khloe, you can reinvent yourself with a little burgundy in your wardrobe. Take that Kim. This whole outfit is stunning! 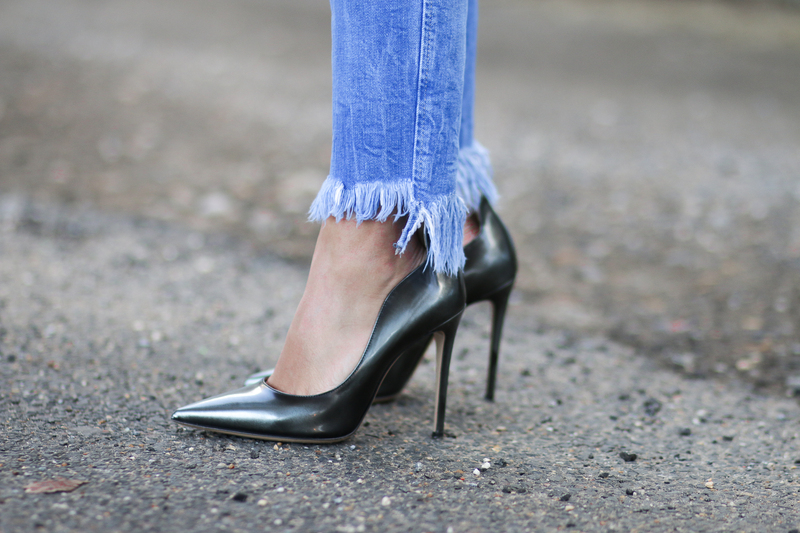 Love the matching fringe on the jeans and top! Burgundy and Khloe are my favorite! Haha :) This is an awesome look!